In the late summer of 2014, I did my first collaboration with Alexis. She was a friend before collaborating, but now our friendship has turned into one of the most lovely and rewarding relationships I’ve had. She is a pint-sized firecracker who speaks her mind, honors truth, never suffers fools, and will always support your dreams come hell or high water. Her energy and enthusiasm for life inspires me regularly. She is as strong as she is independent, but will always choose to experience this wonderful life with others as often as possible. 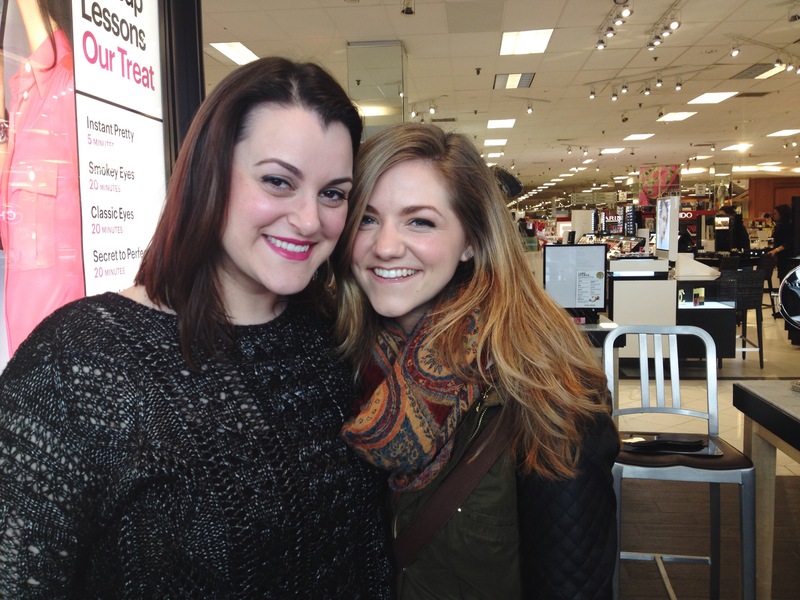 Here is a photo of my beautiful friend when she came to visit me when I worked at Bobbi Brown at the Macy’s in Downtown Crossing, Boston. NOTE: I did not do her make up for the photo of her in Santorini though I would have LOVED to because that would mean I was in SANTORINI. Ah, one can dream. Soon, dear Greece, soon. Be sure to check out her unbelievable work at her website here. Those are two GORGEOUS smiles!